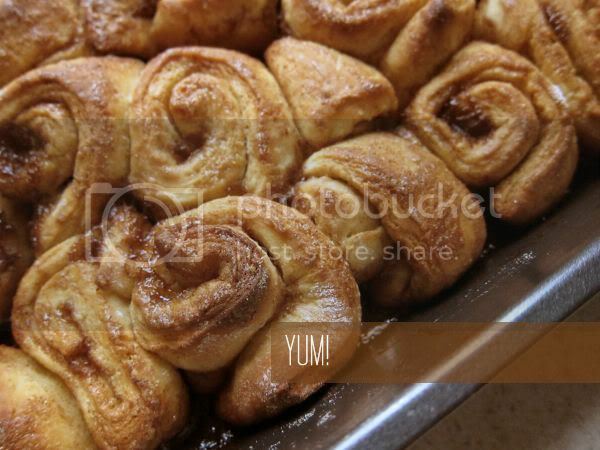 'Tis the season for cinnamon rolls! 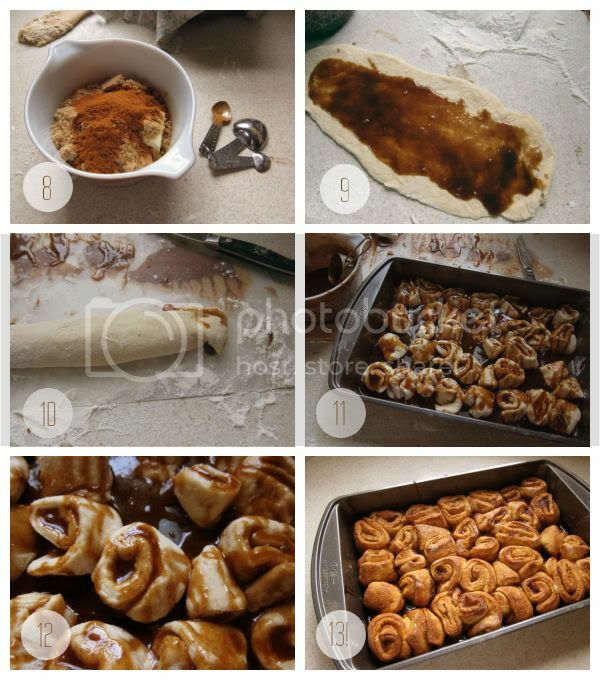 Resist the goodness of Cinnabon and make your own cinnamon rolls! It's so fun and you will be so proud of yourself after you do it. Plus, making them yourself totally justifies eating as many as you want -- guilt free! Yes to that. I used this recipe and then changed it a little, for better or worse. 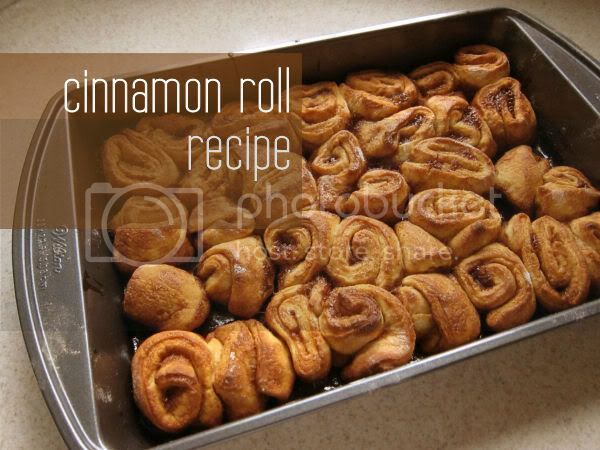 I really like this recipe because it doesn't require a bread machine. It's super simple. And they're done in 90 minutes! 2. Heat milk until it bubbles. 3. Stir in margarine and then let cool. 4. Mix 2 1/4 cup flour, yeast, sugar & salt. 5. Add the water, egg, milk mix and to flour mix and beat. 6. Add the rest of the flour, a 1/2 cup at a time and make sure to stir well. 6. 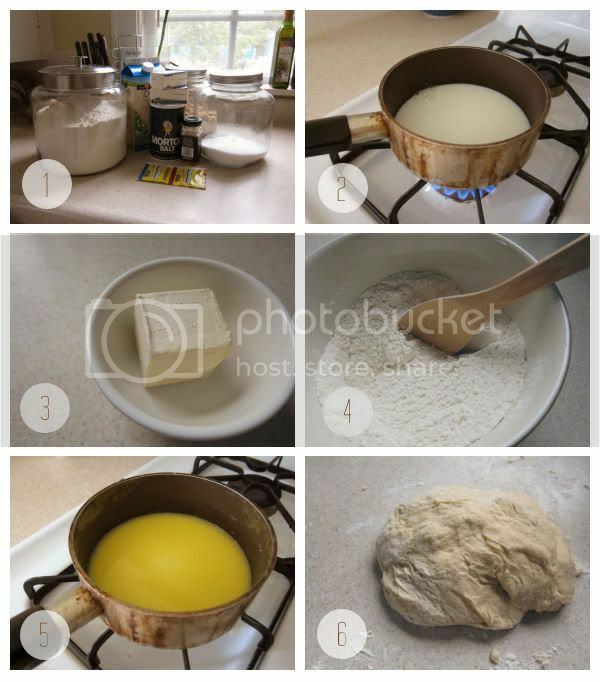 When dough forms a ball, knead on a lightly floured surface for five minutes. 7. 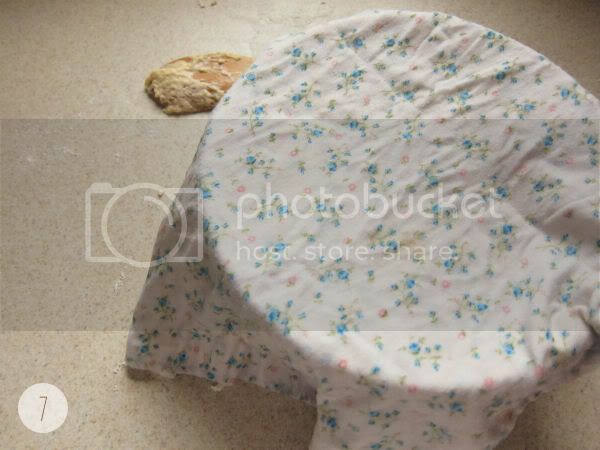 Cover dough with damp cloth for 10 minutes. 8. In another bowl, mix brown sugar, cinnamon & softened margarine. 10. Roll up dough and pinch it closed. Then cut! 11. Place in pan, cover and let rise for 30 minutes. 12. Bake for 20 minutes at 375F! Woohooo. Be sure to make some yummy frosting, too.